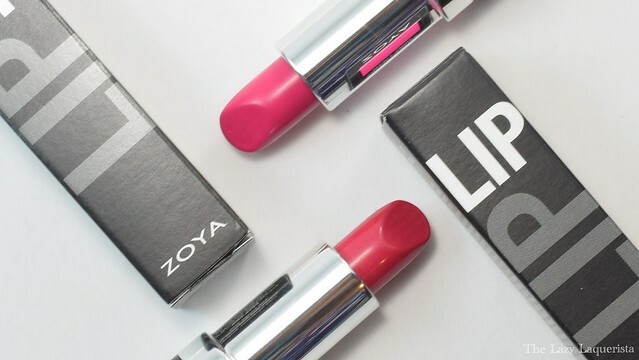 Zoya released their Seashells and Sunsets collections recently and along with the usual polish sets they also included some coordinating lipsticks. 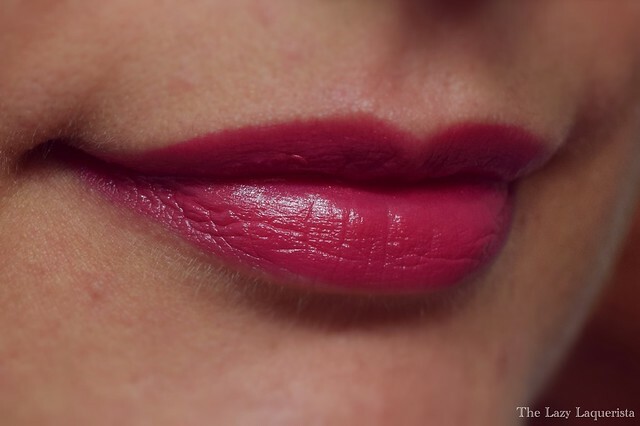 Today I have swatches of the two lipsticks to share with you. Candy is the shade from the Sunsets Collection. 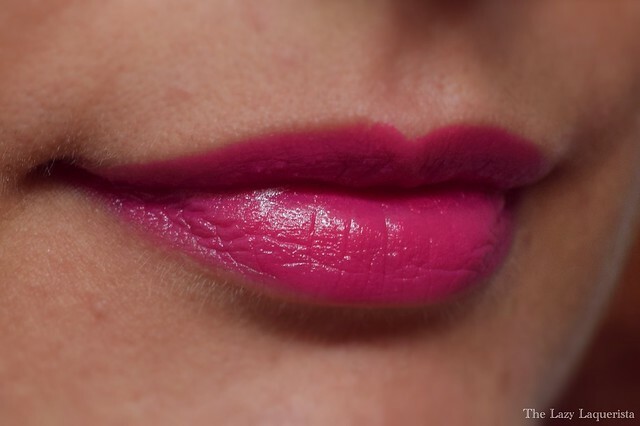 This bright pink creme has medium pigmentation which can be built up to opacity with a couple of swipes. 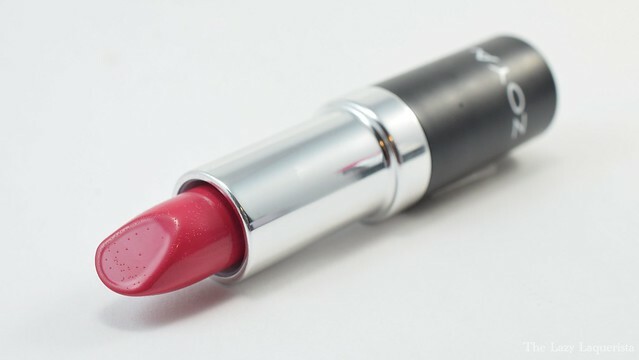 The formula is quite creamy and feels comfortable on the lips. I expect that because of this creamy texture you will need to touch up due to transfer. Mellie is the shade from the Seashells collection. 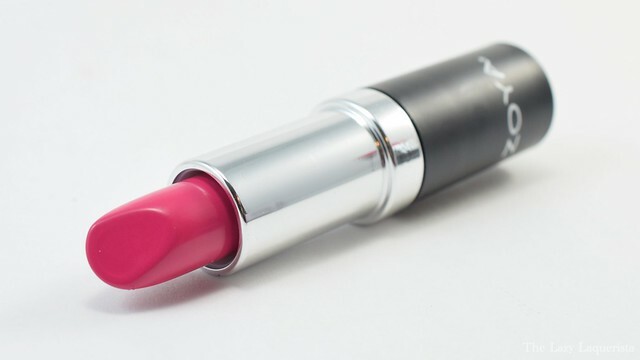 This red leaning medium pink also has a nice creamy formula like Candy. This one was a little more pigmented and didn't take multiple swipes to get good coverage.